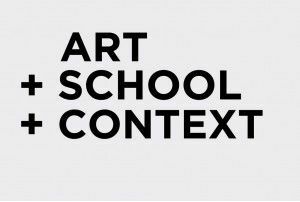 ART + SCHOOL + CONTEXT is an exhibition of works by students of nursery, primary and secondary schools. 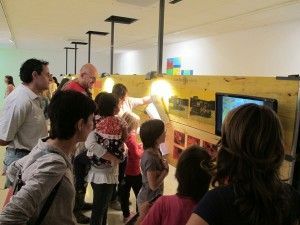 It consists of two parts, the first to become a new phase in the project ART AND SCHOOL which was deployed throughout 2011-2012 and which involved twenty-two schools. 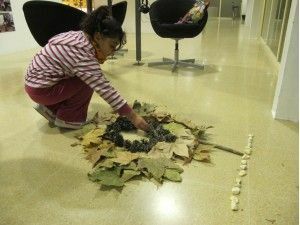 The second part exhibits the work which artists Dani Montlleó, Gloria Safont-Tria and Martí Anson conducted with pupils and teachers at three schools and three districts of Mataró, taking as a reference the project Al portal de casa_ i els constructors_ by Jordi Canudas made in conjunction with La Sínia primary school in Vic's Remei district . 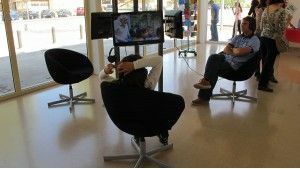 The project's tour and development were sponsored by Institut de Cultura de Mataró and exhibited at Can Palauet. 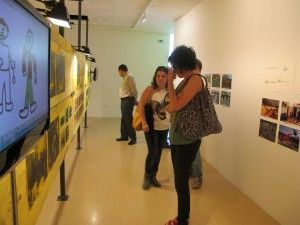 Both parts of the exhibition are complementary, working on the relationship between art, education and land, and both glancing upon education through the use of art. 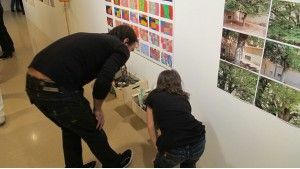 One shows a marked interest in generating long-term structures in which teachers( or schools) take on a leadership role, accompanied by art specialists, while the other generates an interaction between artists and teachers, creating methodologies for shared work based upon the model of the artist in residence. 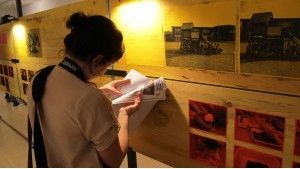 The project Art and School is based on the premise that education is part of cultural production, and that art, understood from the multiplicity of contemporary forms, can provide several useful tools to revitalise educational activities as well as promoting interdisciplinary processes of acquiring knowledge, can give an incentive to the production of content arising from the connection between art and education, or can open up fields of experimentation and learning based on practical activity. 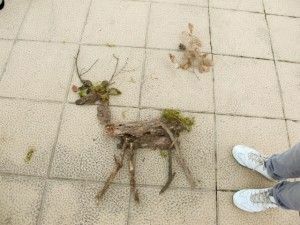 In this case the arts are not crafts, but a constructive instrument. 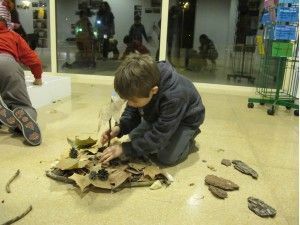 One aim of ART AND SCHOOL is to encourage collaborative work, to learn what schools are doing in relation to the arts, and to share approaches and methodologies between the parties involved, bringing current cultural debates to schools. All of these goals are pursued, but they are also starting positions from which to set out this project, which will broaden out in the medium and long term. In the medium term, the achievement of a greater permeability in the processes of cultural production, and a reassessment of the roles taken on by artistic practices and education when they intersect or interact, will occur. It is essential to recover a closer relationship between the two areas, in order to draught a programme which includes a vision of a long-term future. Among other aims of ART AND SCHOOL are to promote, and to bring value to, the presence of art in schools, to establish a network of collaborations between different organisations in the field of arts and education, supporting teachers to develop cross-disciplinary projects, to display and to disseminate the research carried out using a common theme, and to share resources, methods and assessment tools, by means of the relationship between contemporary art and pedagogy. 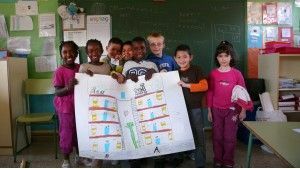 The first edition in 2011 invited schools to develop a project based on the explicit subject of the context, a subject which, given the rural-urban location of participating schools, was quite broad. The issue became a wide and suggestive starting point, allowing for the inclusion of several areas of interest such as landscape, ecology, nature, the boundaries between urban and rural, sustainability, natural elements, the smells, colours, sounds, traditions, machines, technology, architecture, stories, life stories, memories or imagining the future. Elements such as these are not usually dealt with in the projects covered by the educational curriculum. 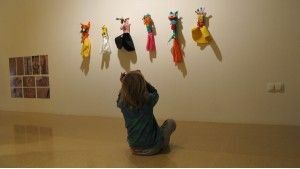 Future editions of ART AND SCHOOL will stress the importance of varying the subject, and relating this subject to the context within which the school operates. This is a way of adding value to the specific nature of each project. In this case themes and context match. Each school has allotted a set time for its project, depending upon its ability and availability. We have requested that, on a consistent basis, a working process, a methodology, some referents and an outcome should be integrated within this time. 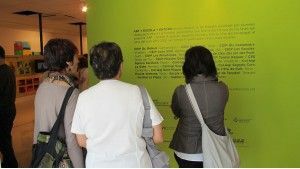 During both the process and the final results, various formats have been used, such as video, photography, painting, drawing, sculpture, installation ... and also various branches of arts have been used in putting work together, such as advertising, design, new imaging technologies, animation, film, and architecture. In certain cases, interdisciplinary projects working within different areas, or with different materials, have been proposed, giving a special value to this idea of cross-pollenisation which has been kept very much in mind. 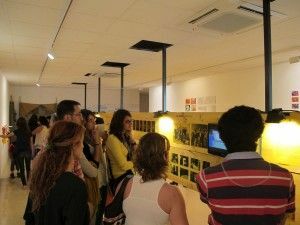 Previous to the exhibition, the projects carried out in schools were presented by students on the 30th and the 31st of May and the 1st of June 2012 at UVic, Universitat de Vic. The aim of the conference was to learn about the process, lines of investigation, references and methodology employed. Coinciding with the exhibition, a second meeting for methodological assessment has been scheduled, with teachers' participation. A place to share and debate the processes, techniques, methodologies and objectives. This project has been carried out thanks to the involvement of the schools and the voluntary participation of a working team comprising people associated with institutions which combine art and education. A team of professionals which acts as promoter of the project, which performs advisory tasks for the teachers involved and, as far as possible, provides available resources from the institutions for which they work. The first edition ART I ESCOLA has been a result of the collaboration of different institutions and individuals: ACVic, Centre d’Arts Contemporànies: Mia Guiteres Oliva, Maite Palomo and Ramon Parramon, Centre de Recursos Pedagògics: Francesc Xavier Albert and Imma Verdaguer, Escola d’Arts Plàstiques de Torelló: Elisenda Soler and Alícia Casadessús, Escola d'Art i Superior de Disseny: Marià Dinares and Toni Garcia, Fundació Privada Osona Formació i Desenvolupament: David Casals and Marta Postico, La Farinera, Centre d'Arts Visuals de Vic: Amanda Núñez and Joan Peiron, Universitat de Vic: Miquel Pérez, Montsita Rierola and Assumpta Cirera. 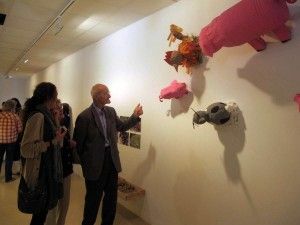 The exhibition of works which form part of the ART and SCHOOL project is complemented and enriched by the work which artists Dani Montlleó, Gloria Safont-Tria and Martí Anson did with the schools Camí del Mig (Pla d’en Boet), Montserrat Solà (Barri de l’Havana) and Germanes Bertomeu (Barri de Rocafonda), all schools and districts in Mataró. These three projects were carried out with reference to the project Al portal de casa_ i els constructors by Jordi Canudas with the school La Sínia ( Barri del Remei at Vic). 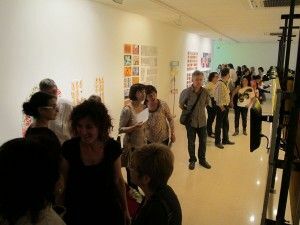 The latter project was a co-production of ACVic and the Escola d'Art i Superior de Disseny de Vic, and was presented as an exhibition between June and September 2011. 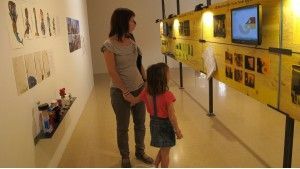 These three projects in Mataró were produced by the Institut de Cultura de Mataró (Institute of Culture of Mataró) and were presented in an exhibition at Can Palauet between April and May 2012. 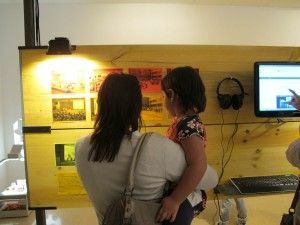 This selection has become an exhibition of works which, after beginning their journey in Vic, has gathered new content through the involvement of artists, teachers, students and mediators during its realisation in Mataró. Al portal de casa_ i els constructors_ arises from proposals for collaboration between institutions through the idea of connecting art, land and education. 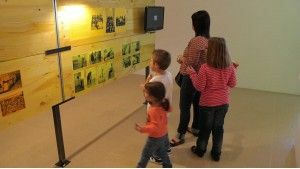 This project interweaves the experience of living in a certain district (land), the involvement of teachers and pupils in primary school, and art school docents and students (education,) with elements of drafting, representation, content organisation, critical and analytical perspective on the context (art). 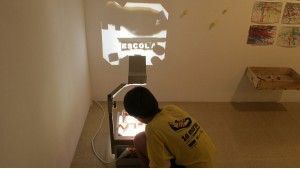 The project emphasises the potential of contemporary artistic practices, which investigate and propose, starting with the nearby and the everyday, opening up dialogues, processes and experiments in specific contexts; clarifying their commitment to link up with aspects of reality and social space. Firstly, the emphasis in this project is the physical and social changes which have occurred in recent years in many districts and cities. Secondly, it is an aim of the project to actively open up possibilities of knitting together bonds between children and the place where they live in a collective way. 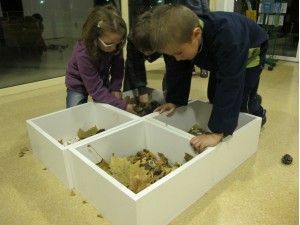 Part of the project focuses on the game as experience and an educational activity, creating with children of the school La SInia a construction game made ​​out of wooden forms and measures, square and rectangular elements chosen from among forms originating within the immediate context: the school, the district and the house. A game which, apart from being practical and educational – it was integrated within the regular curriculum of pupils in primaries 1 and 2 -- also attempts to involve itself in the symbolic dimension, since these children today, with the diversity and the possibility of cultural richness, will be the builders of the district and the city of the future. A revealing gesture, measuring to learn, and a wish, generating a sense of belonging to a place, valuing its protagonists as citizens. A project combining ethics and aesthetics. El gran joc els constructors in its travels beyond the initial district, has become a device to make connections with the reality of other schools in other districts and other cities. 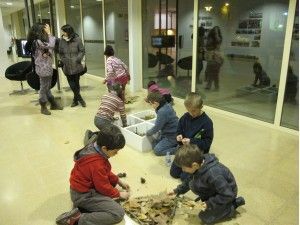 In this case it was deployed within Mataró, with the collaboration of three artists who, using their personal ties with the area, put together and reinvented the project by forming a bond between a primary school and the context of its catchment area: Dani Montlleó and primary 3rd (escola Camí del Mig del barri del Pla d’en Boet), Glòria Safont-Tria and primary 4th (escola Montserrat Solà del barri de l’Havana), and Martí Anson and primary 1st (escola Germanes Bertomeu del barri de Rocafonda). Each artist made a proposal to the school, based upon direct observation of the district's context, including research of archive footage and current documentation, visits and field work with pupils to meet and to encourage contact with various agents within the district. Finally, each school displayed the process and projects using the great game the constructors_ , their own observations, and the link established with their surroundings. This project established links with the district, making a reconnaissance on different levels, but always with the presence of the sea and its local influence. The end result of the project was to build a wooden boat. Based on a 60's image of the area, showing a wide open space clean of buildings, students have worked on the project to build the district. The project focuses on a proposal of public sculpture for one of the two roundabouts bordering the district. It works with the idea of public space by constructing a sculpture which functions as a symbolic element in the district. Al portal de casa_ i els constructors_ is promoted by ACVic Centre d’Arts Contemporànies, Escola d’Art i Superior de Disseny de Vic, Escola La Sínia and with the support of Pla de Barris i Participació Ciutadana de l’Ajuntament de Vic. With the collaboration of CoNCA Consell Nacional de la Cultura i de les Arts, Generalitat de Catalunya. Project concept and direction Jordi Canudas(visual artist and professor at the Departament d’Arts Visuals de l’Escola Massana Centre d’Art i Disseny-UAB), with the collaboration of Laura Batriu, Idoia Pascual and David Reche (students from the Escola d’Art i Superior de Disseny de Vic), Mia Guiteres (visual artist - ACVic), Montsita Rierola (visual artist and professor at the Facultat d’Educació UVIC), Cristina Ribas and Mireia Tortadès (Outreach officers Vic Sud), David Pujols and Magda Solà (OCCUPATIONAL WORKSHOPS Pla de barris Vic Sud), Mercè Casellas, Laura Carrasco, Elisabet Franquesa, Mercè Godayol, Roger Pich, Marta Puigdesens, Emili Quiles and Mireia Serra (teachers at Escola La Sínia) and pupils of 1st and 2nd year at Escola La Sínia.